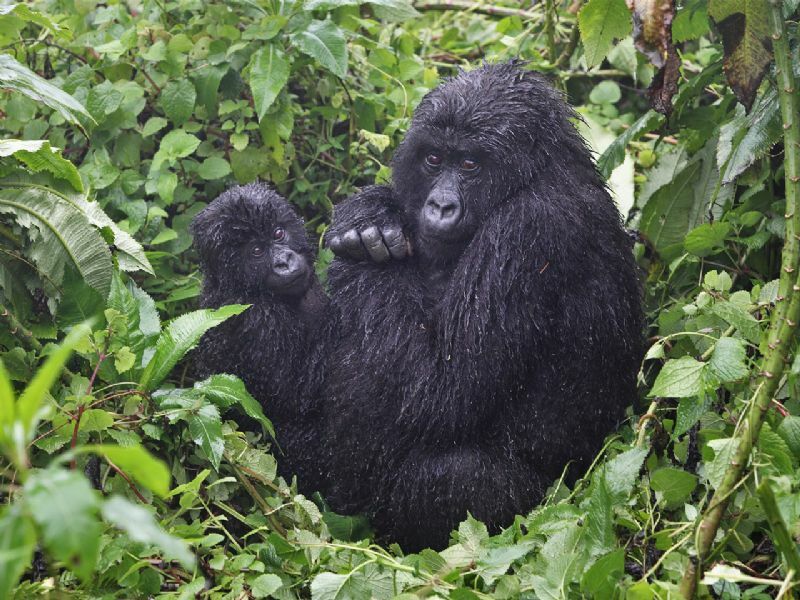 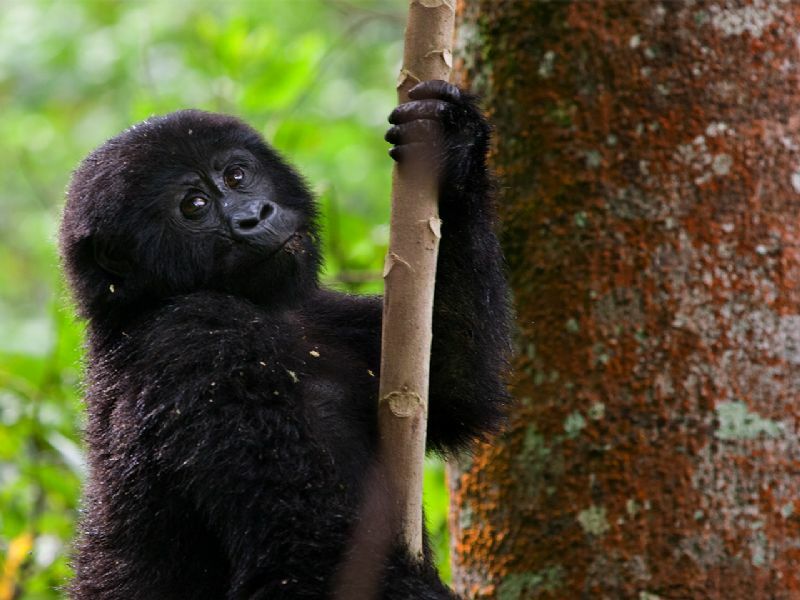 They are like us and yet so different….. Gorilla Tracking is an experience of a lifetime! 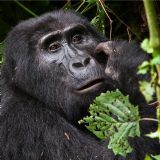 The Mountain Gorilla is the world's most endangered great ape, found only in protected forests in Uganda, Rwanda and Congo (DRC). 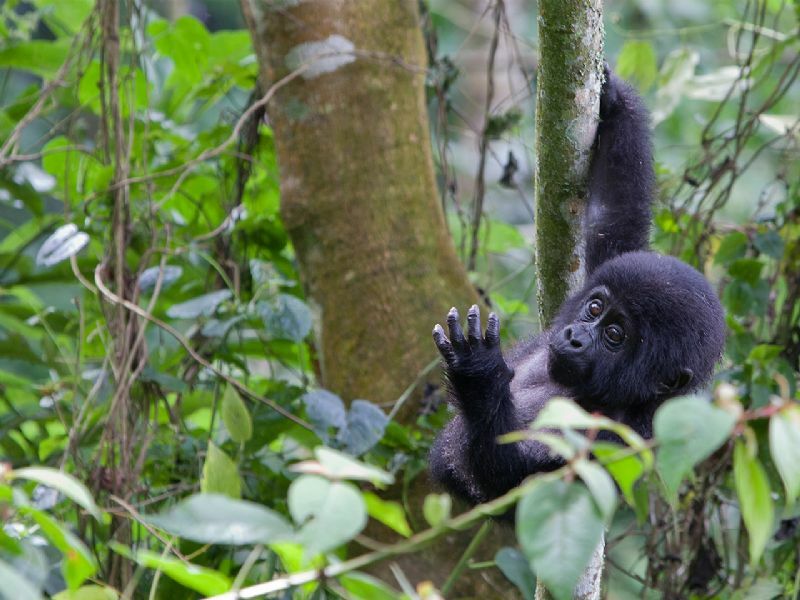 To see Mountain Gorillas in the wild, up close in their natural habitat, is every safari lover’s dream! 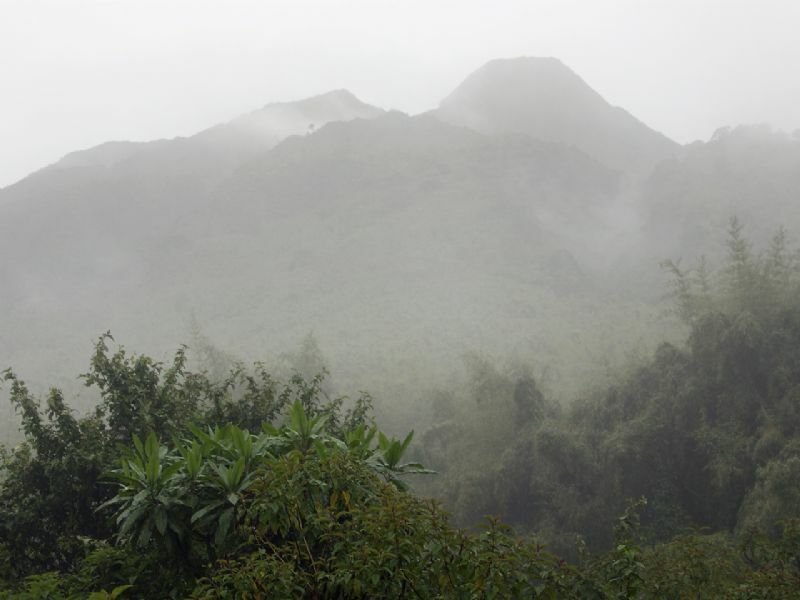 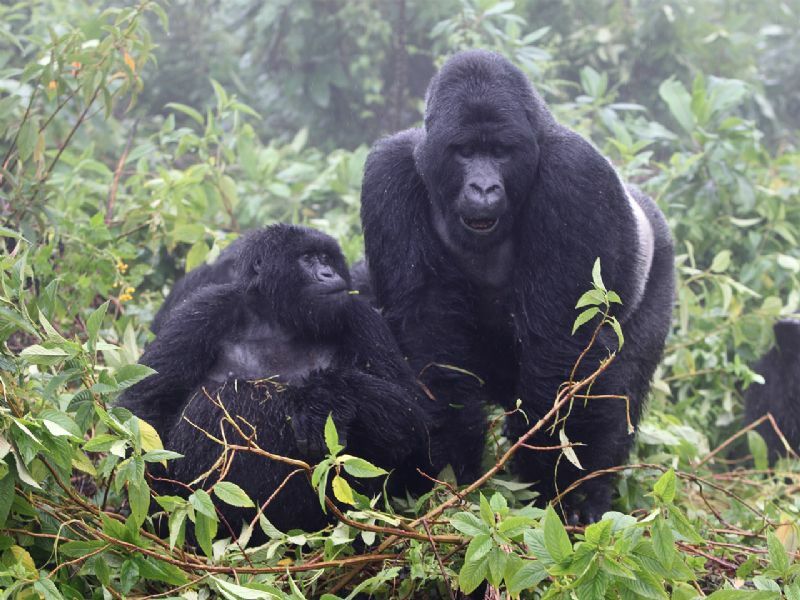 So travel with us and watch the Gorillas in the Mist. 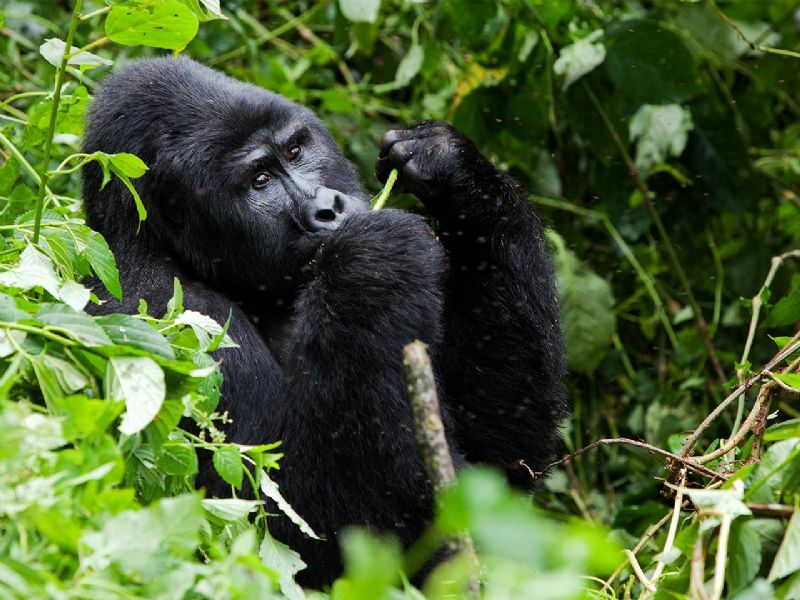 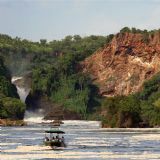 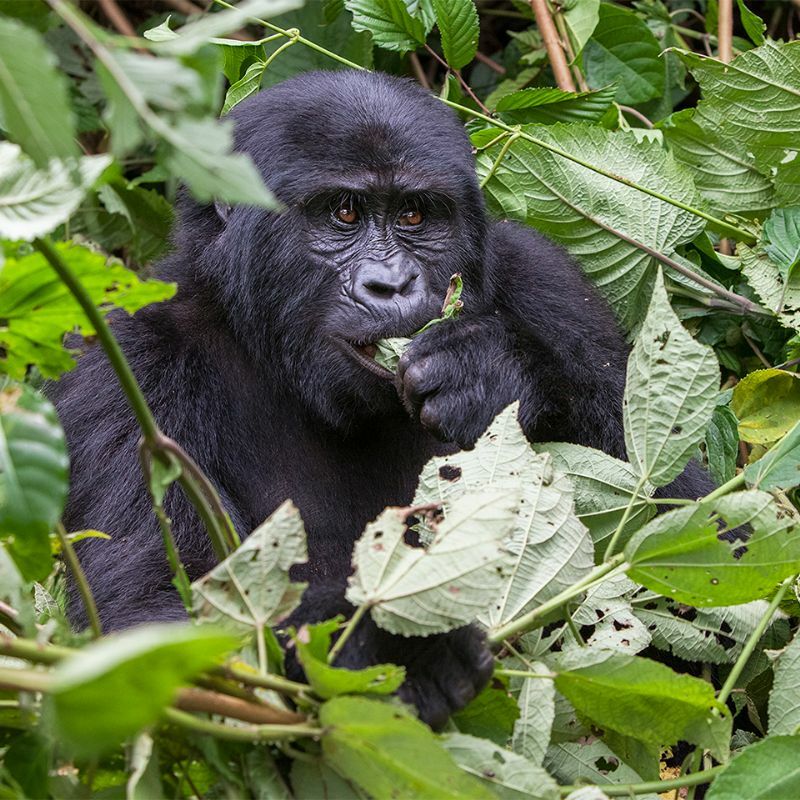 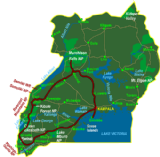 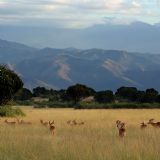 Kazinga Tours offers trips to visit Mountain Gorillas in Bwindi Impenetrable National Park and Mgahinga National Park in Uganda and Volcanoes National Park in Rwanda, part of the Virunga National Park. 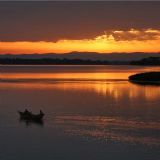 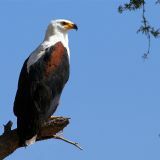 We have tours for budget and luxury travellers. 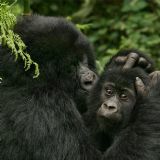 We will arrange the gorilla permits for you. 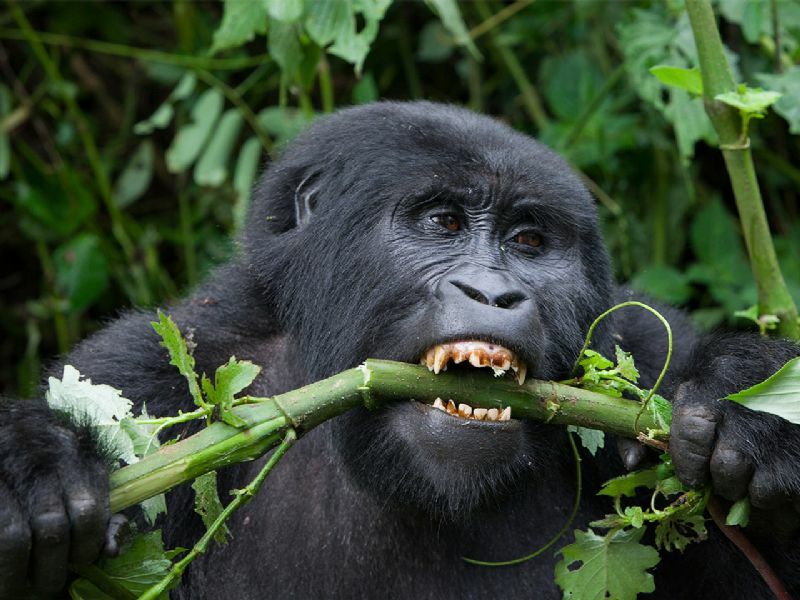 So join us on a safari to the gorillas. 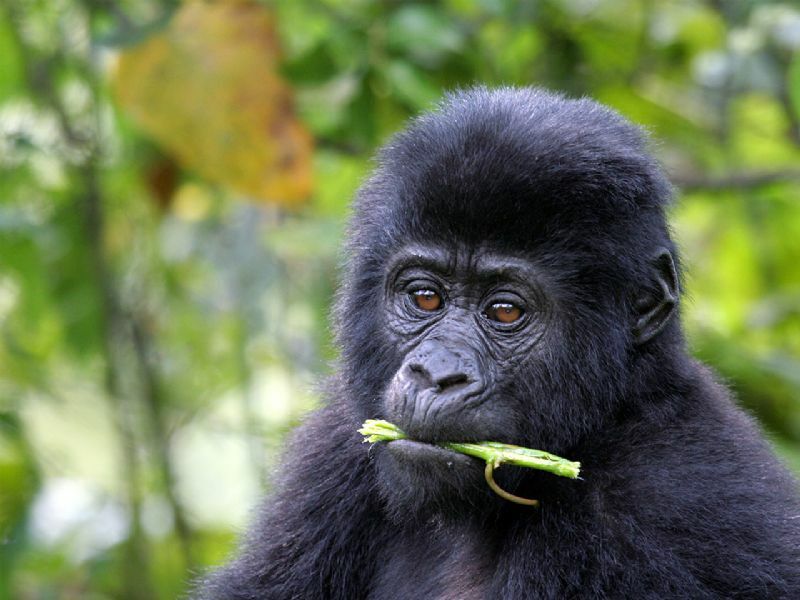 About 30 years ago it was estimated there were about 600 Mountain Gorillas in the world. 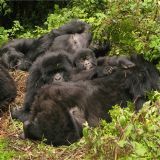 Thanks to Dian Fossey, who studied the Mountain Gorillas in Volcanoes National Park in Rwanda in the 1970’s, the gorillas are now well protected. 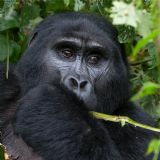 The movie about the life of Dian Fossey is called ‘Gorillas in the Mist’. 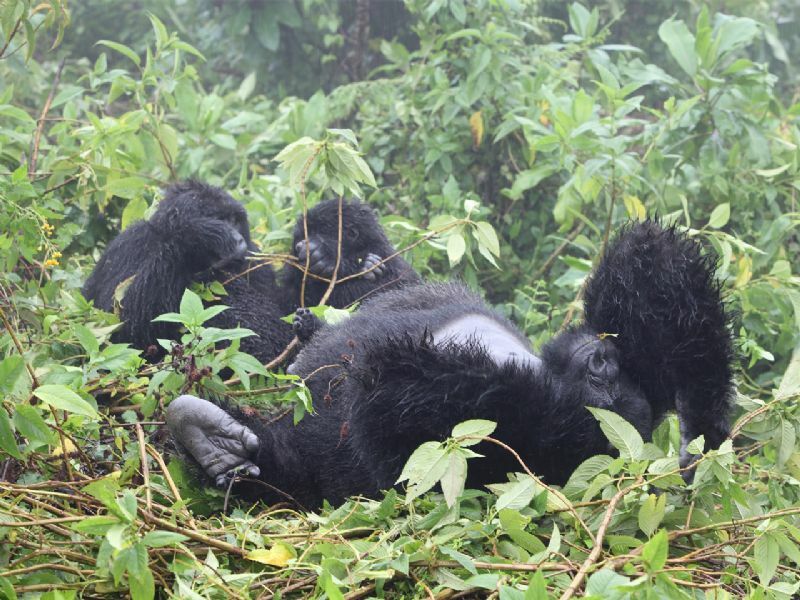 2015 figures estimate the total population to be about 800 Mountain Gorillas. 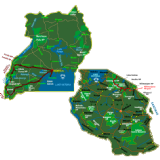 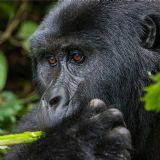 One population of about 400 is found in Bwindi Impenetrable National Park in southwestern Uganda and the other 400 in the Virunga Volcano Range, covering 3 National Parks in 3 countries: Mgahinga Gorilla National Park in Uganda, Volcanoes National Park in Rwanda and Virunga National Park in Congo (DRC). 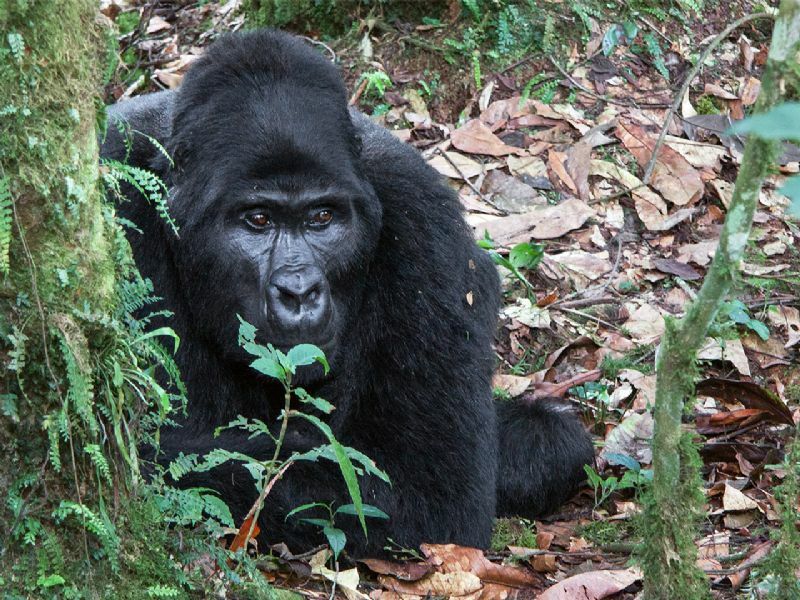 The chances of seeing gorillas are very good, > 99%. 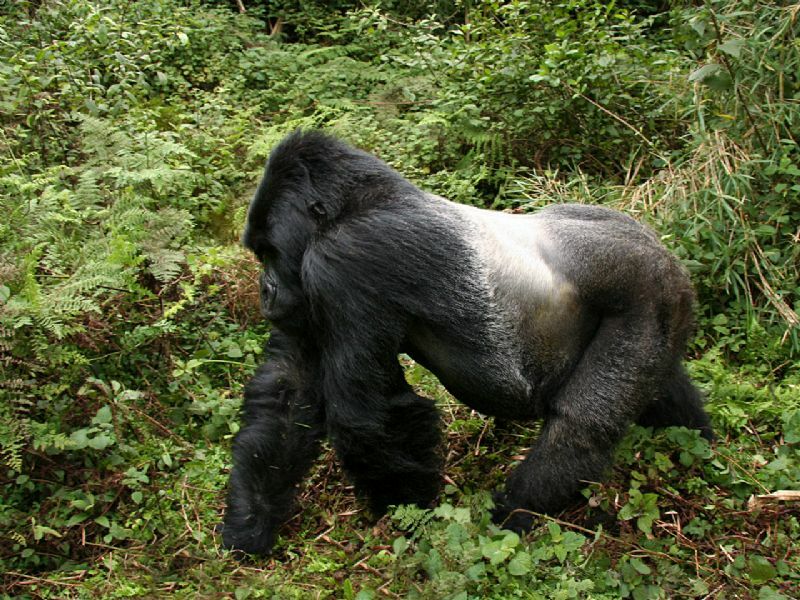 Gorilla tracking (gorilla trekking) is an intense experience that can take up to 5 hours. 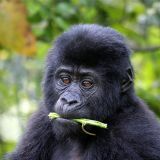 The guide leads you through the gorilla's world, explaining aspects of their ecology and behavior along the way. 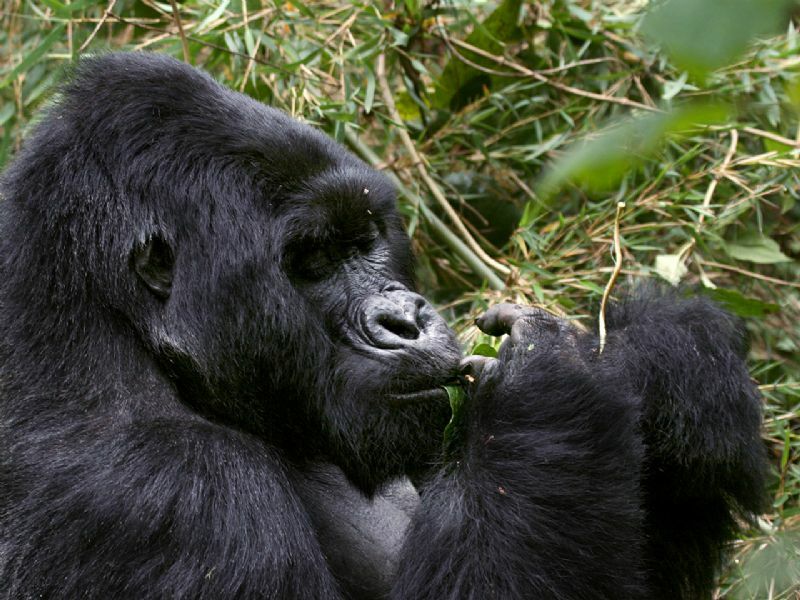 When you reach the gorillas the time spent is strictly 1 hour. 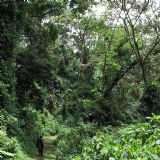 It is possible to hire a porter (a person who will carry your bag) for about 10 dollar. This will make the tracking easier and more convenient for you. 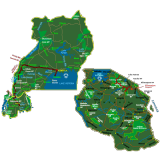 By doing this you also support the local community. 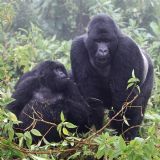 The gorilla group is always led by a Silverback, an adult male with a silver instead of black back. 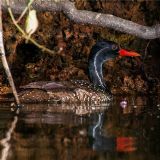 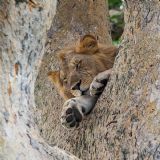 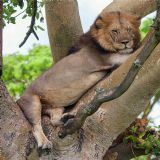 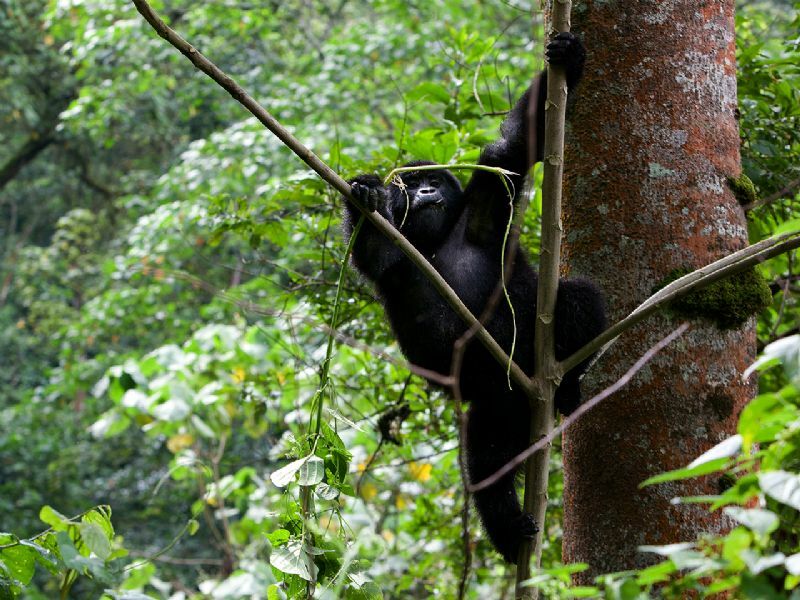 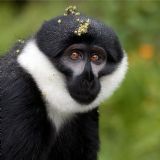 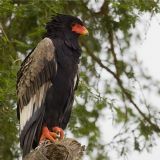 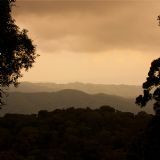 The forests are also home to many wonderful birds, primates, large mammals, reptiles, insects and plants. 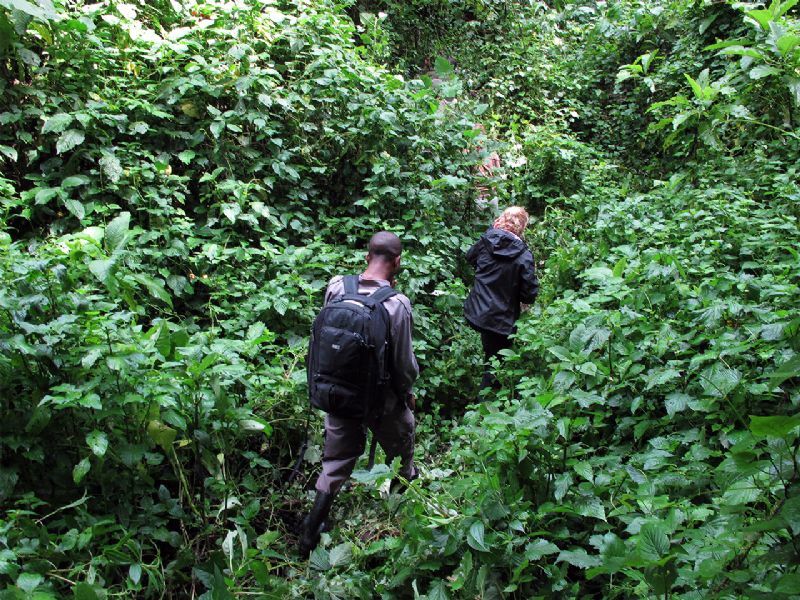 Gorilla tracking can be a long walk, so go prepared. 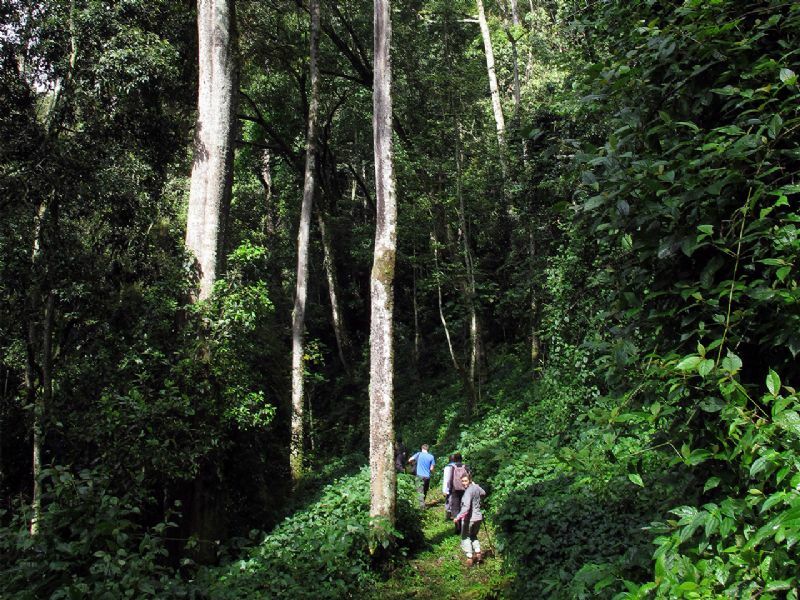 We suggest you to wear shoes with good traction, suitable for steep muddy slopes. 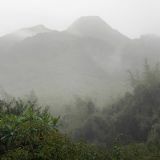 It is important to carry rain gear, sunscreen and a hat, as the weather is unpredictable. 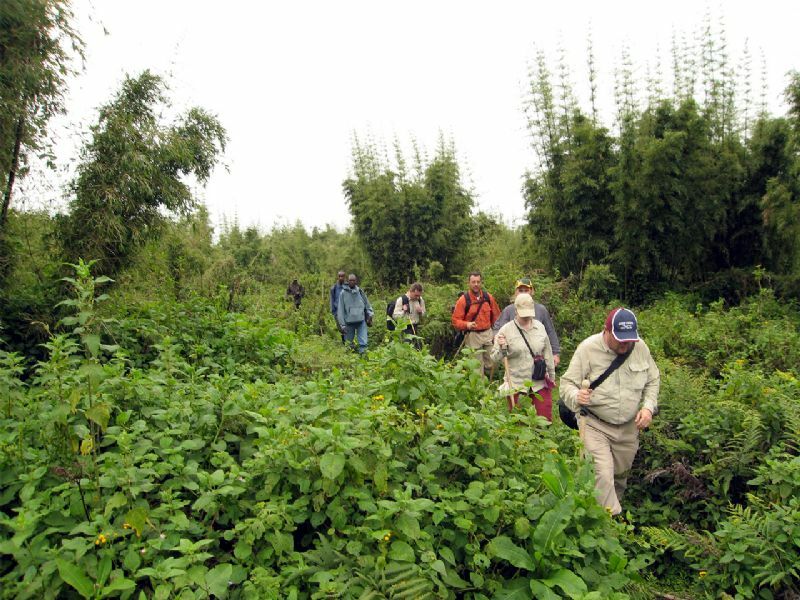 During the trekking it is also important to carry enough water and food. 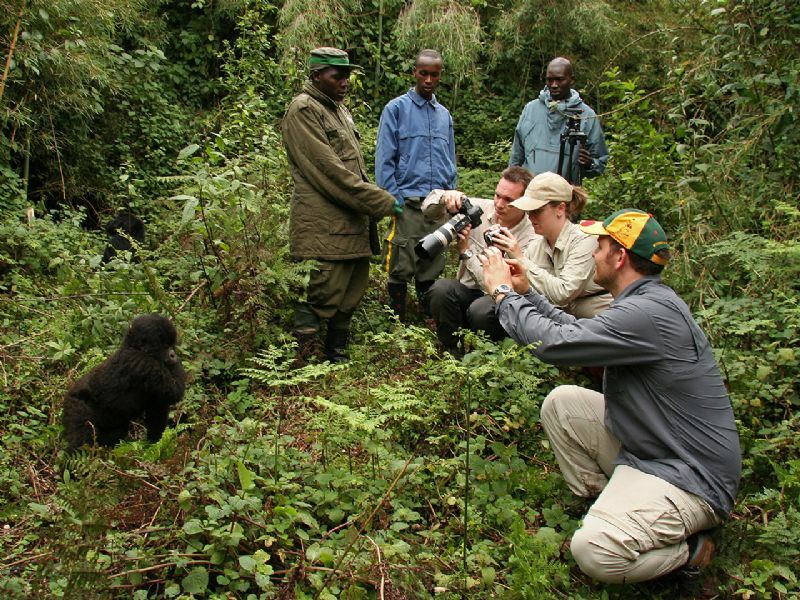 Our specialized guides will make sure you start the tracking very well prepared! 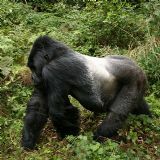 Including 1 Silverback. 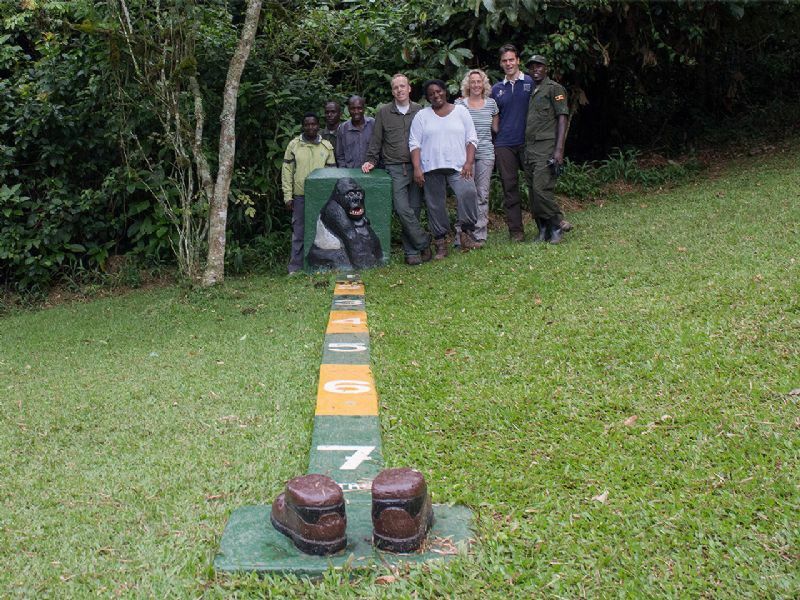 This is the group who visited a lodge and touched one client. 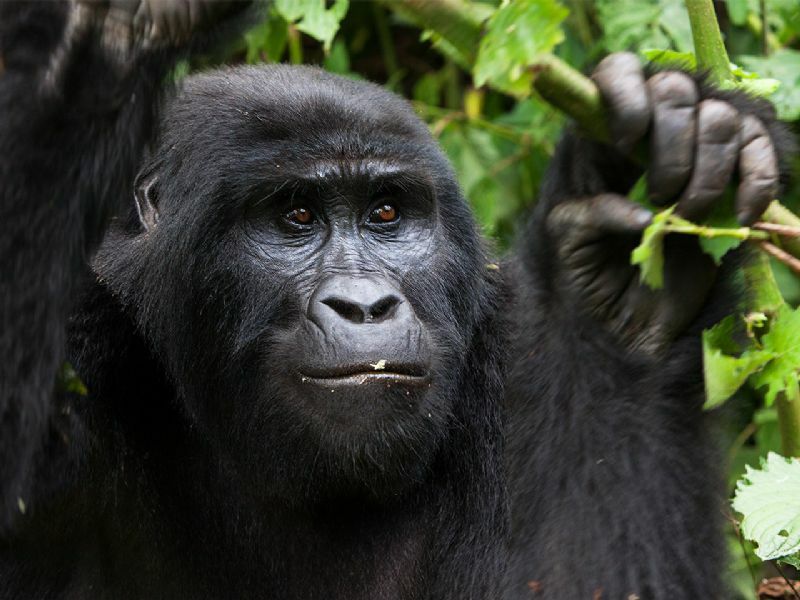 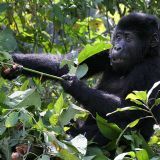 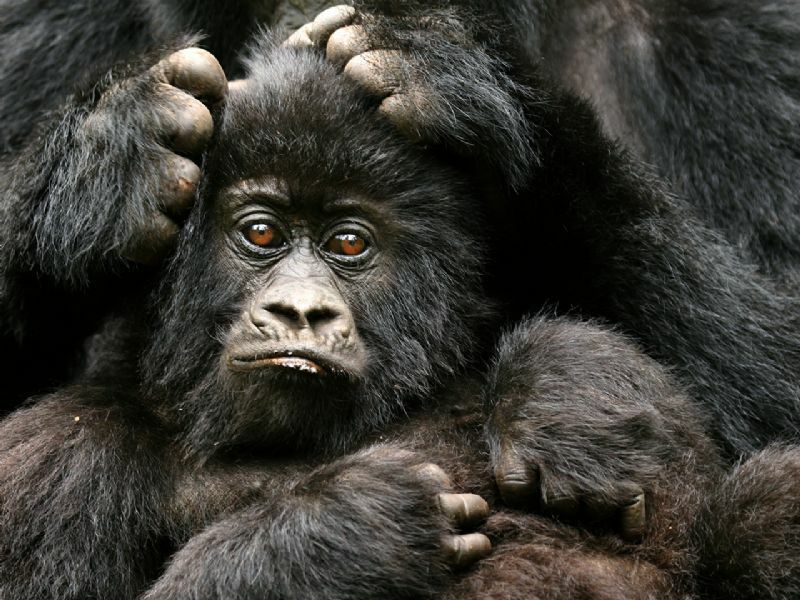 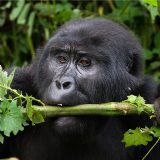 *: The Gorilla group in Mgahinga likes to travel a lot and is sometimes in Rwanda or Congo, when they cannot be visited. 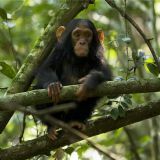 This group is in Mgahinga National Park since November 2012, but not 100% reliable. 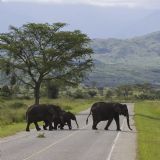 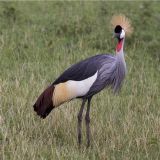 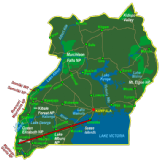 Permits for this group can only be bought at the park headquarters of Uganda Wildlife Authority in Mgahinga because it is not 100% sure they are in Uganda. 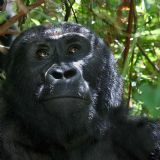 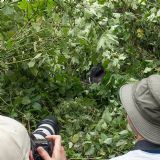 Seeing the mountain gorillas is a very intense and unique experience. 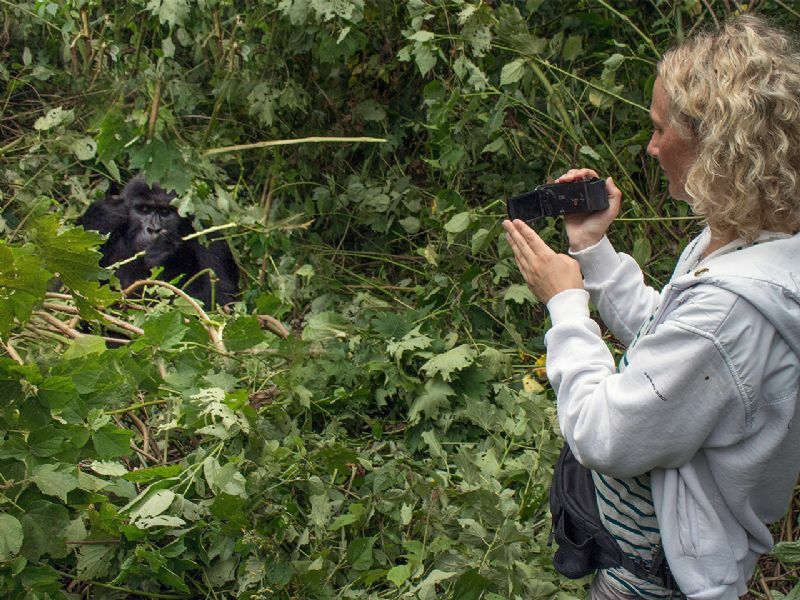 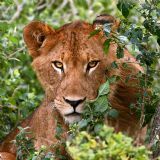 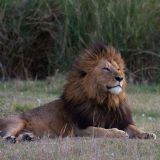 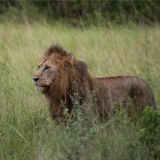 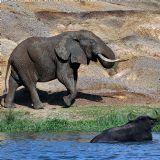 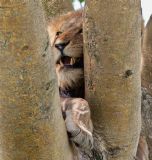 Take a look at our Video to get a glimpse of how it is to see them in the wild…. 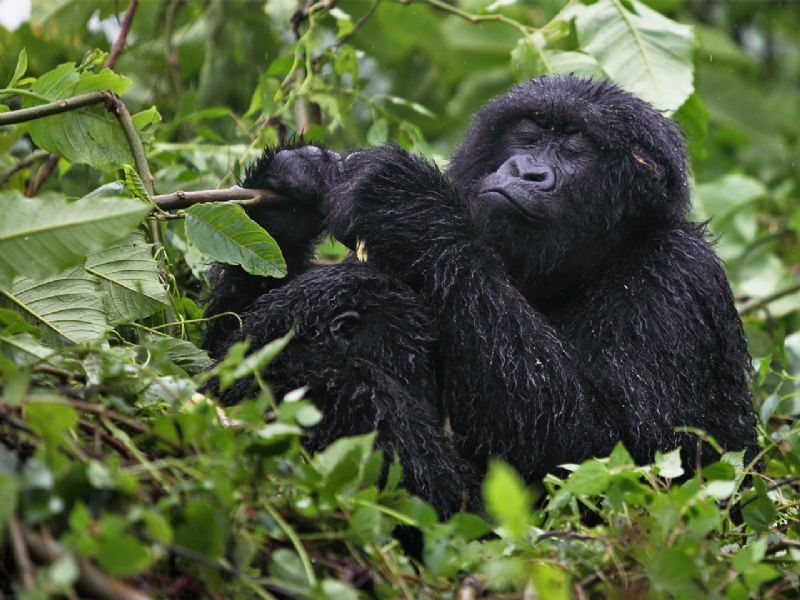 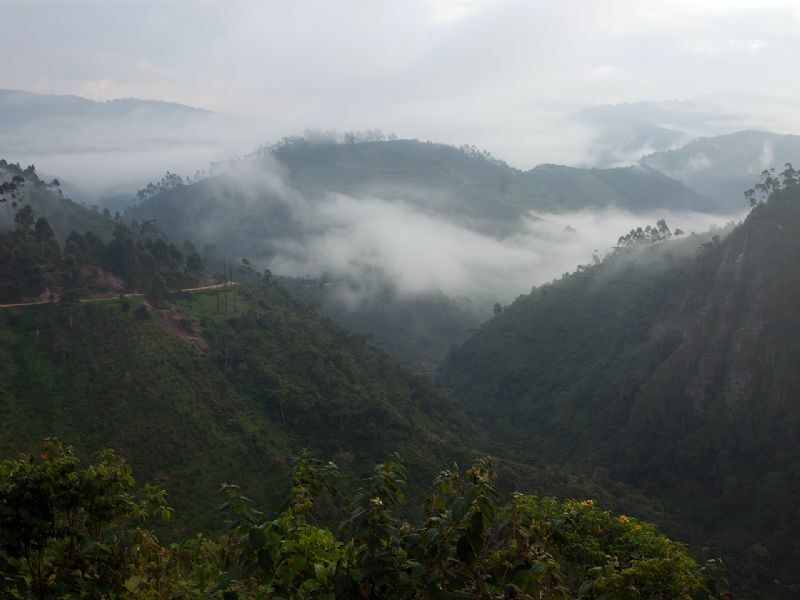 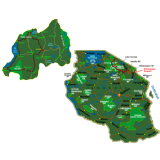 Bwindi Impenetrable National Park is one of the highlights of Uganda. 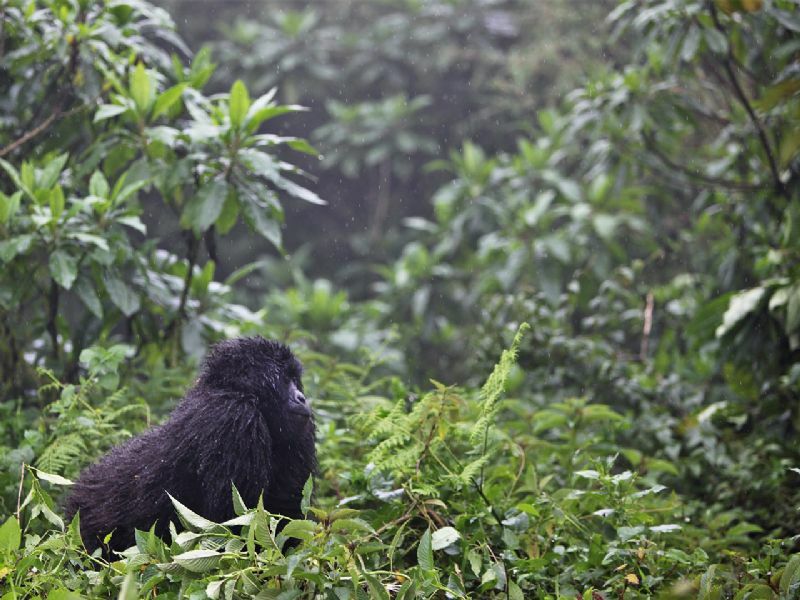 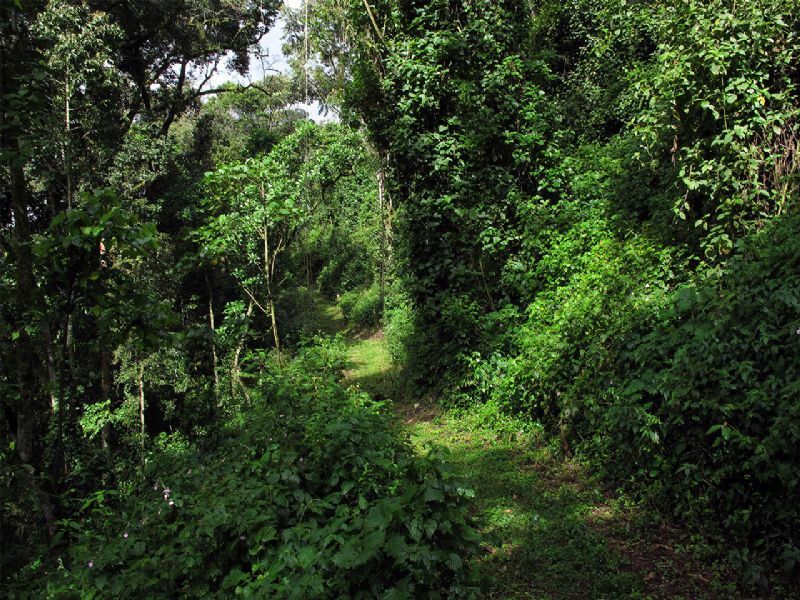 This jungle is home of the Mountain Gorillas! 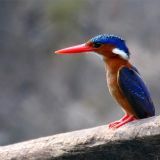 And it is also beautiful seen from the sky. 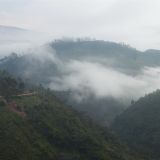 With our drone we have been able to fly above the mist, which gave a nice view of the forest and the ‘sharp line’ with the surrounding rural land. 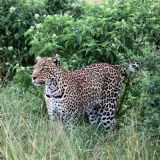 Come and see this beautiful videos for yourself!